Many people are unaware that the city of London is extremely rich in wildlife, and that many of the most interesting and spectacular species can be seen within a few minutes' walk of the regular tourist trail. 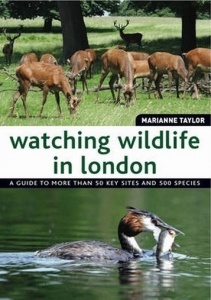 The first eight chapters provide an informative 'where to watch' guide describing key sites from the centre to the suburbs, along with what you can expect to see there. 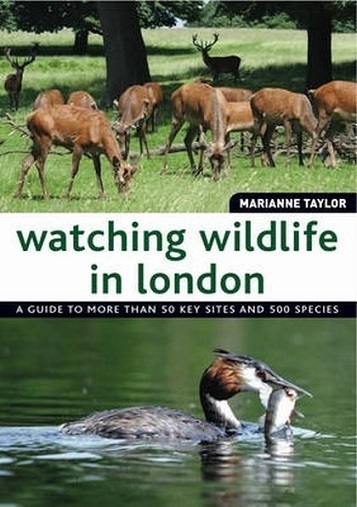 This ranges from wildfowl and birds of prey in the centre of town to deer and other mammals around Richmond, and from butterfly and wildflower hot-spots to a haven for wading birds and Water Voles beside the Thames. Each chapter gives a general overview of the terrain and the wildlife present, and series of boxed texts look in detail at interesting case studies, or personal 'pages from the notebook'. The final third of the book is a fully illustrated colour identification guide to 500 of the most common or remarkable species found in the capital, covering birds, animals, invertebrates and plants. The writing style is easy-going and engaging, aimed at a lay audience of city residents and visitors alike. There is also a great deal to interest the experienced naturalist. Paperback: 192 pages, 600 colour artworks, 40 black & white maps and illustrations.